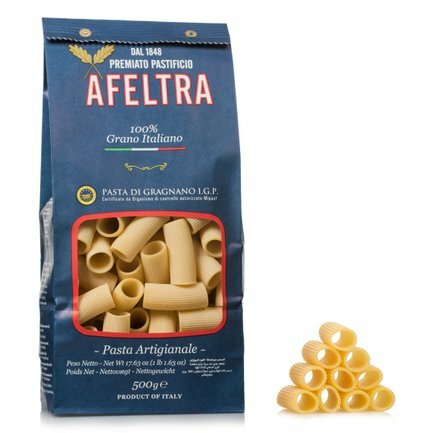 The rigatoni from Afeltra are made with carefully selected wheat semolina originating from 100% Italian wheat that is mixed with water from the Lattari Mountains, extruded through bronze dies and slowly dried for up to 48 hours. The rigatoni are one of the most famous types of Italian pasta and are loved due to their external grooves that hold the sauce, as well as their inner cavity that also makes them perfect for timbales or oven baked pasta dishes. 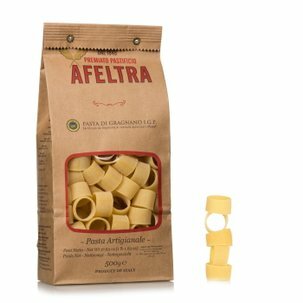 Try them with a simple tomato or vegetable sauce, or in a dish more suited for autumn with a porcini mushrooms based sauce. 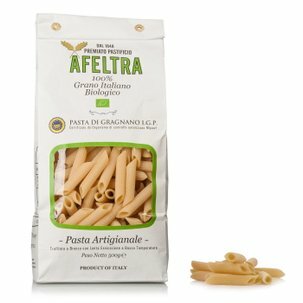 The Premiato Pastificio Olimpio Afeltra was founded in 1848 and is located in the heart of Gragnano. 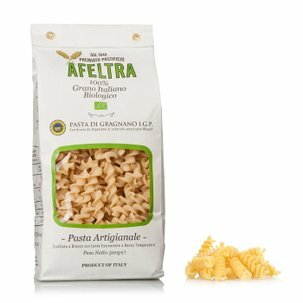 In this monumental palace from the early 1800's, 50 quintals of pasta are produced every day with full respect for the artisan method. 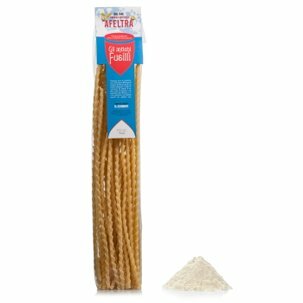 The best durum wheat semolina is delivered to the company and then analysed to make sure they have the characteristics of excellence required for protein, glutens and ash. 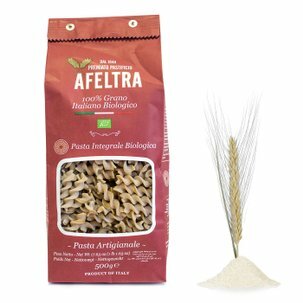 The dough and pre-dough are prepared in a vacuum, slowly and using the purest water from the Lattari Mountains of Gragnano. The exclusive bronze die extrusion process is used, and the drying lasts from 24 to 52 hours, depending on the format, with temperatures that never exceed 48 degrees.